Guess what? It’s beet season again! That makes for a happy Tamm. Beets have lots of fiber and vitamin C and many other nutrients. There’s really no excuse not to eat them. I present you a recipe I have made a few times in the past month or two; it will become a winter staple as the produce selection gets thinner and thinner at the bazaar. You can vary ingredients as you like; this is the first time I’ve made it with corn, and you could also add potato, pickles, cheese cubes, or chopped hard-boiled egg for some more heft. Meanwhile, combine olive oil, green onions, salt & pepper, and corn in a large bowl and let sit. 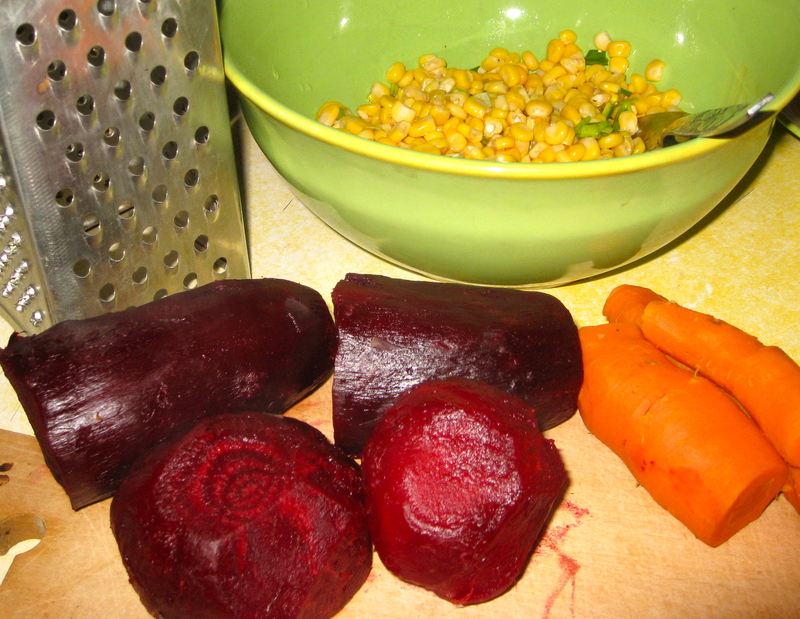 When the beets and carrots are done, let them cool and then peel with the help of a knife — skin should slip off pretty easily. 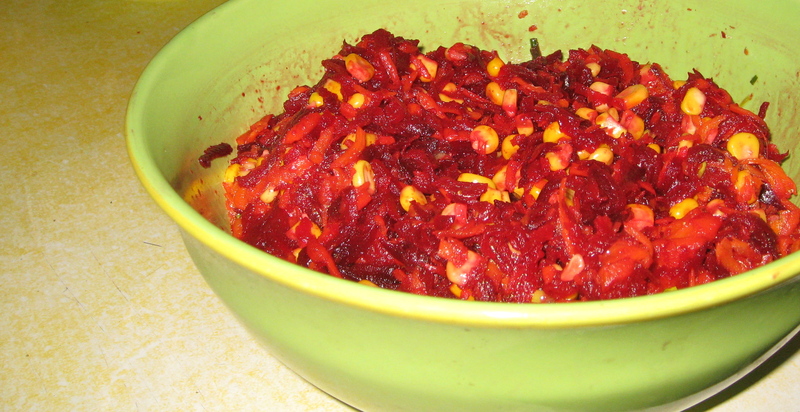 Grate carrots and beets into bowl with corn and dressing. Toss and let sit in the refrigerator for a little while so the flavors can blend. So many good vitamins and minerals in this salad. This entry was posted in food, health, pictures, recipes and tagged salad on 10.11.2011 by taplatt.